Having trouble making movies on your Mac because of file incompatibility? 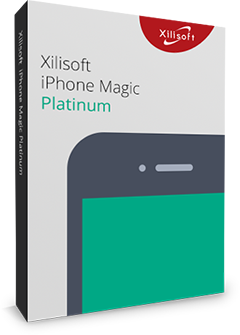 Xilisoft Movie Maker for Mac makes movie making simple and straightforward. This Mac movie maker helps you make movies from camcorder videos, high-definition (HD) videos and video files in almost any format like MTS, HD AVI, MPEG, MP4, RM, FLV, MOV, WMV and etc. 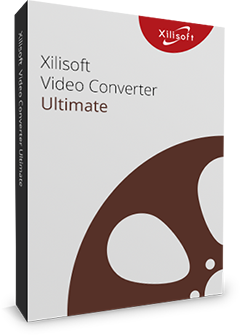 Xilisoft Movie Maker for Mac is also a powerful Mac movie editor allowing you to add a dozen of transitional effects, also supports random transitions, adjust detailed video parameters, crop video frame, trim videos, and much more. Make movies from homemade, HD (incl. HD AVI, HD MPEG-2/4, HD VOB, HD WMV), and popular format videos (incl. AVI, 3GP, MPEG, MP4, RM, FLV, MOV. Supports almost all video formats including MTS, M2TS, HD AVI, HD MPEG-2/4, HD VOB, HD WMV, AVI, 3GP, M4V, MPEG, MP4, RM, RMVB, FLV, VOB, MPV, MOV, DAT, ASF, WMV, and many others. Make a movie in minutes on Mac with the Quick Movie Making functionality. Trim, clip, crop videos and more! You are the movie director! Save a video copy every time you edit it; each saved copy can be edited separately. Trim video clip and extract the desired segments from it by custom length or duration; output each segment individually or merge them into a new video. Crop the video image to remove black edges, logos or any other bits that you don't fancy. Introduce cool transitional effects such as "Slide", "Expand", "Shrink" and so on in between scenes. Add multiple audio tracks to movies including your own voice. Add artistic effects to movies such as "Old Film", "Mosaic" and "Sand" to give your movies character; adjust video brightness, contrast and saturation. 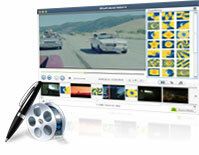 Create an instant and very attractive Movies.Use Full Screen mode to quickly and simply preview the movie you made. 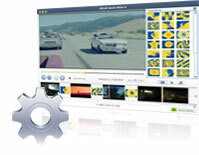 Set general and advanced parameters such as bit rate, frame rate, sample rate, zoom mode, and resolution. Create custom conversion profiles with new parameter settings. Multi-skin and multi-language interface (English, German, French, Spanish, Traditional Chinese, Simplified Chinese, Japanese).